An empty place inside me visits when I feel no connection to others beside me. I feel abandoned by those whom I have known at times when in need. I must admit that I have sought out others for solace, yet I am known more for my alliance with seclusion much of the time. I tend to turn inwards more than to seek others. My early life has comprised itself with members whom have not mitigated some of life’s lessons when I was younger. I did receive some good counsel but my memory still concedes to instruction that was either not very effective, deficient, or downright contemptible. I wonder if that has some bearing on my disposition for solitude. I do not hold any ill will towards those aforementioned, as I realize one must not live in the past. The wounds of the child sometimes stay deep within me, my invisible scars, but I seek to focus on the teachings learned later in life’s journey. The wounds sustained in childhood can and often do remain with us for a lifetime. But as in any journey, we make choices on paths that come before us. The road of self-reliance is a difficult path, but a path that can result in a greater capacity for free thinking, and resourcefulness, and thus magnifies ones assessment aptitude. The downside, is that one may stumble many times before the lessons are learned in the social arenas. Amongst the jackals and exploiters of the world that I have met head-on; I have had to shield and fend for myself in the process. (A jackal is one who allows themselves to be used). The proliferation of souls that feed off of others only shows me that many have not been shown a way to better their existence. I also do remember having met some very charming people and inspirational experiences that have balanced out those times of misfortune that cross our paths, but the most hurtful experiences are those who are actually in your family; the ones that you should be able to trust the most. The betrayals of family members happens more often than not and is part of our mutual experience in everyday life. I should also add that many have probably had a similar circumstance in dealing with these social happenings and I do not see them as a significant adversity for most cases. I think them to actually be fairly common. Unfortunately there are also those cases that are far from the norm, continue to exist and leave many to be disposed to some very hellish tribulations. The shocking truth is that my disposition tends to lead me to the profiles outlined in the ASCA or Adults Surviving Child Abuse. Researching some of these characteristics I found some resources that leave me in utter dismay when looking at some of the correlations to my conduct. 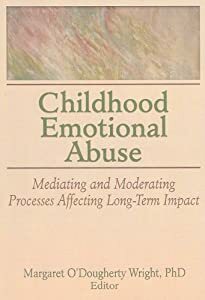 Though I do not think I would fit into a classic case outlined here, I must admit there are some strikingly familiar similarities when looking at the cases of emotional abuse experienced in childhood. Emotional abuse refers to the psychological and social aspects of child abuse, and it is one of the main causes of harm to abused children. Many parents are emotionally abusive without being violent or sexually abusive, However, emotional abuse invariably accompanies physical and sexual abuse. Emotionally abusive parents practice forms of child-rearing that are orientated towards fulfilling their own needs and goals, rather than those of their children. Their parenting style may be characterized by overt aggression towards their children, including shouting and intimidation, or they may manipulate their children using more subtle means, such as emotional blackmail. Parents may also emotionally abuse their children by “mis-socialising” them, which means that they may encourage their children to act in inappropriate or criminal ways with direct encouragement and/or by surrounding the child with adults for whom such behavior is normative. From infancy to adulthood, emotionally abused people are often more withdrawn and emotionally disengaged than their peers, and find it difficult to predict other people’s behavior, understand why they behave in the way that they do, and respond appropriately. experience incontinence and mysterious pains. Adults emotionally abused as children are more likely to experience mental health problems and difficulties in personal relationships. Many of the harms of physical and sexual abuse are related to the emotional abuse that accompanies them, and as a result many emotionally abused adults show a range of complex psychological and psychosocial problems associated with multiple forms of trauma in childhood (Glaser 2002). Significant early relationships in childhood shape our response to new social situations in adulthood. Adults with emotionally abusive parents are at a disadvantage as they try to form personal, professional and romantic relationships, since they may easily misinterpret other people’s behaviors and social cues, or misapply the rules that governed their abusive relationship with their parent to everyday social situations (Berenson and Anderson 2006). Now it is too common for students in an abnormal psychology class to view abstracts and read the DSM-5 (formerly known as DSM-V) and suddenly relate to some of the disorders discussed within the pages. (DSM -5 is the planned fifth edition of the American Psychiatric Association’s (APA) Diagnostic and Statistical Manual of Mental Disorders). In my day my abnormal psyche class used the DSM-III in the mid-eighties and I found out that many of my classmates had some interesting discoveries about themselves, until my professor set them at ease stating the cases in more detail and putting their minds at rest. Can you imagine thinking that you may have schizophrenic characteristics or some other mental disorder just by comparatively reading about symptoms or cases and as you are studying the material you begin to start applying it to your own behaviors? For whatever the reasons I think I have come to recognize the terms with my unresolved childhood dilemma’s about my upbringing and worked some of them out. I must say that I am not in bereavement about those days since they have opened my eyes to looking at the world in a certain way. 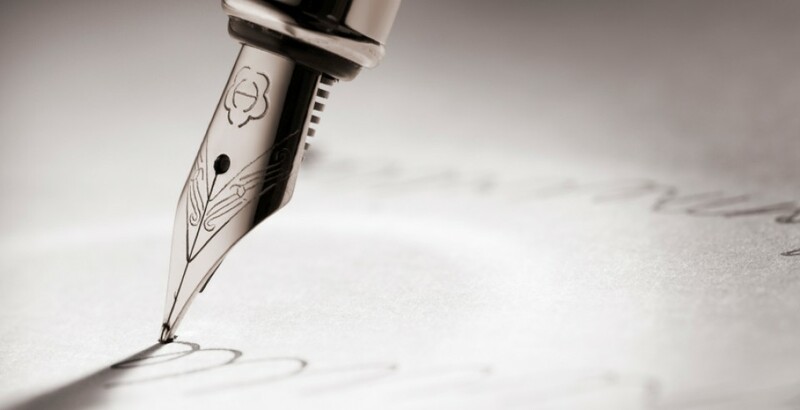 I certainly admit that I do struggle at times when some of those memories come up, but I find that the sensitivity felt in this case can be a collaborator and not a crutch. The term I think for this outlook may be “resilience” to such factors and quite possibly the strengthening ingredient in my illustration. Understanding the nineteen-sixties also gives us some perspectives on the why it happens. Emotional abuse can, and does, happen in all types of families, regardless of their background. Most parents want the best for their children. However, some parents may emotionally and psychologically harm their children because of stress, poor parenting skills, social isolation, lack of available resources or inappropriate expectations of their children. They may emotionally abuse their children because the parents or caregivers were emotionally abused themselves as children. distinguished from an emotionally abusive relationship, which is more than the sum of emotionally abusive behaviors. In emotionally abusive relationships, one party systematically controls the other by undermining his or her confidence, worthiness, growth, trust, or emotional stability, or by provoking fear or shame to manipulate or exploit. Merely refraining from abusive behaviors will do nothing to improve a relationship, though it may slow its rate of deterioration. To repair the harm done, there must be a corresponding increase in compassion on the part of the abuser. Abusers do not change by receiving compassion; they change by learning to give it. Emotional abuse does not result from storms of anger; it emerges during droughts of compassion. From fear to freedom, from despair to an awakening, I have seen the emotional gamut via personal experience as well as considering that one definition also conversely defines the other. The understanding of these emotional boundaries illuminates the capacity for our experience and teaches us the wisdom of aspiration. The brilliance of the human mind is the seemingly infinitesimal synaptic connections and associations that allow us to circumvent adversity with ingenuity which we can pave even through the anguish of suffering. The unfortunate burden we have is balancing the emotional and the intellectual aspects of our understandings. I believe it takes the spirit, the drive, or the “gut” response to complete the process. If you subscribe to the tripartite mind, then you will understand the argument made here. We are not just the sum total of our feelings, thoughts, and desires, but rather in the synthesis of these attributes there resides the spark and the essence of our being. Beyond the limitations of our personalities, each of us exists as a vast, largely unrecognized quality of being or presence-what is called our Essence. Real self knowledge is an invaluable guardian against self-deception. As much as traversing the enneagram paradigm in that it can reveal the spiritual heights that we are capable of attaining, it also sheds light clearly and non-judgmentally on the aspects of our lives that are dark and unfree. Meditations and having “presence” (awareness, mindfulness), and the practice of self-observation (gained from self-knowledge), and understanding what one’s experiences mean, is the beginning of the process to undertake a transformation for yourself. < Previous I sound my barbaric yawp over the roofs of the world.